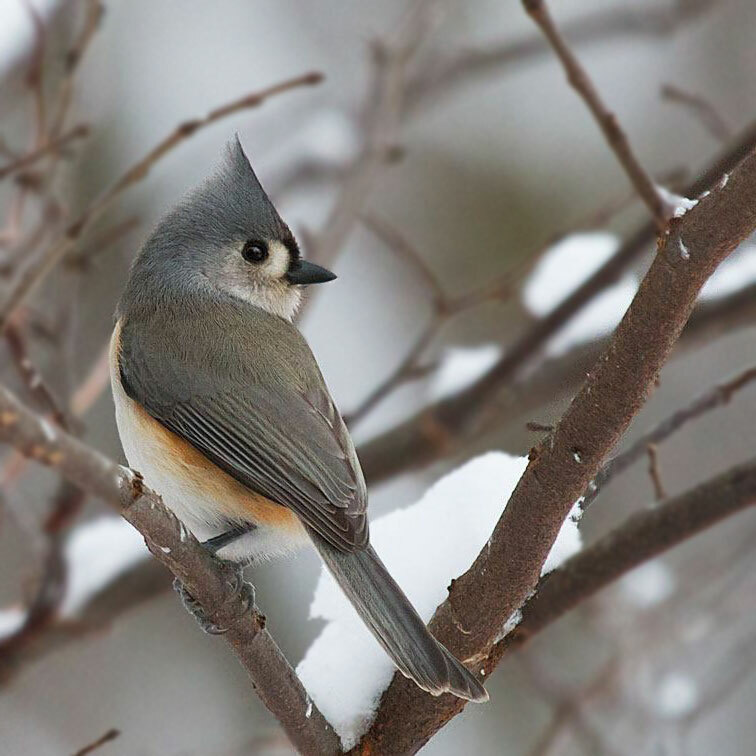 People are always asking me what is my favorite bird, and I usually give a flippant answer, like "my next life bird," but truly I think the Tufted Titmouse owns my heart. Don't you love the sunset flanks on the otherwise grey-toned bird? And the curve from the tip of the crest down around the belly? If I were a sumi-e master, I would love to ink those lines. In much of Eastern US, this is one of the easiest birds to attract to a feeder. In the west, the Oak Titmouse and Juniper Titmouse are faithful backyard visitors. They love birdbaths, too.